Chicago – where Kanye West was raised – is the name of baby No. 3 with Kim Kardashian West. Mom made the announcement Friday on her app without explanation. Chicago was born Monday, weighing 7 pounds, 6 ounces. She joins big sister North, 4, and middle brother Saint, 2. Kardashian West’s fertilized egg had been implanted into a surrogate, who gave birth to the child. 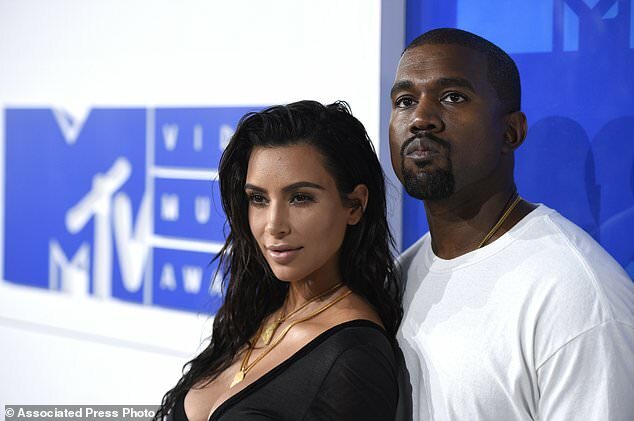 The rapper and the reality star chose to use a carrier after Kim suffered pregnancy complications with her two older children. She said her doctors told her it wasn’t safe for her to carry another baby. The name choice generated a bit of buzz in Chicago and on social media, where the wind jokes flew. The hashtag #BabyWest trended on Twitter in the U.S. by late afternoon Friday, with Kardashian West tweeting out the nickname Chi. So are we yay or nay? “It’s a great city. I love it. But I’m not sure if I would name my baby that. Maybe like a middle name or something, said Taylor Tippett, in Chicago. Ashley Boice, also in Chicago, said she isn’t surprised by the unusual name. Besides, Boice said, why not go with a cool Chicago neighborhood name instead, perhaps one Kanye favors. Wicker Park and Logan (for Logan Square) are available. How does all of this bode for the upcoming birth of Kardashian sister Khloe’s baby, and reportedly half-sis Kylie Jenner, too. Associated Press writer Teresa Crawford in Chicago contributed to this report.